Formaldehyde is known to cause adverse health effects, and a majority of homes have significant levels of this toxin. Certain plants have bacteria in their root systems that can break down formaldehyde. By providing more oxygen to the roots through a special potting method, I expect to drastically increase the rate of formaldehyde consumption. This would allow people to experience cleaner air in their homes. While studying indoor air quality I focused on Volatile Organic Compounds (VOCs). Scientists have extensively studied VOCs and their health effects since the 1970s when sick building syndrome (SBS) was most prevalent. SBS is a condition affecting office workers, most issues are headaches or respiratory symptoms. Chronic exposure is the main concern; people can develop asthmatic symptoms over time. To address this problem NASA studied plants and their ability to consume VOCs, specifically formaldehyde. This research leads us to question how we can improve the efficiency of plants. My hypothesis is, "Can providing ample air flow to the roots of plants significantly increase the efficiency of formaldehyde consumption?" You may read my literature review on VOCs here. Currently there is no low cost system for remediation of formaldehyde. A plant system like this has been built on a Public Lab project. However, they do not have data comparing an aerated plant system to a traditionally potted plant. A system similar to the Public Lab setup has potential, but it needs to be verified through more experiments. Another benefit to proving this air remediation method is that it is sustainable, meaning that there are no filters to replace. The plant will become more efficient over time as the bacteria colonies grow. My goal is to collect data on the formaldehyde remediation capabilities of a regularly potted plant, and the aerated plant system. This data will show exactly how much more or less efficient the aerated system is. As soon as funding is received I will begin the assembly process of the system, then carry out the experiment. An air sample will be taken before the experiment to get an initial level of formaldehyde. The plants will be placed in similar rooms, and air samples will be taken every day for 8 days. Snake plants will be the test subjects of this experiment. 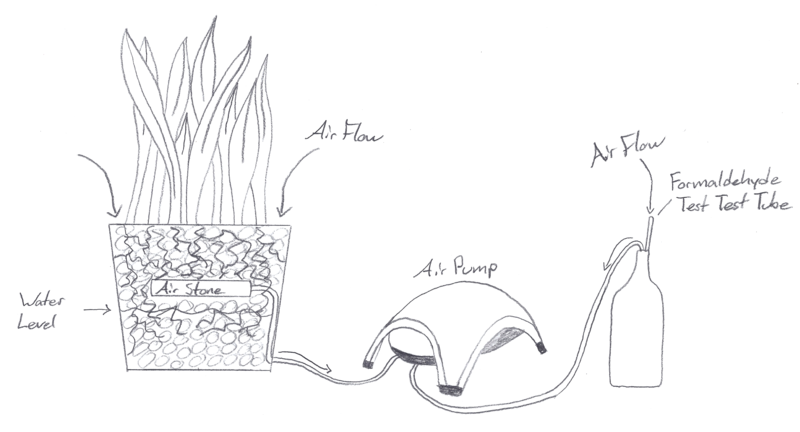 The Air Pump will serve a dual purpose for providing air flow to the plant system, and act as the sampling pump for the formaldehyde diffusion tubes. The Growstone, Airstone, hoses and fittings will be used to build the plant system. The graduated cylinder, and thermo-hygrometer will be used for calibration. 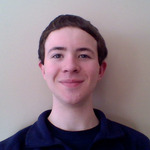 Nathan is currently my student in an independent year-long project development course titled "Learning Studios". He has a clear goal and vision for what he wants to achieve and the research to back it up. He is proposing an experiment that would be of great benefit at both a commercial and private level. I am in 11th grade at the Academy for Science and Design. My scientific research experience extends back several years into my academic career. Some of my major research topics were: human transport efficiency, helping people with arthritis, and perishable food safety. I was motivated to research indoor air quality because of potential issues in my personal environment. Over a semester long research project on indoor air quality I found formaldehyde to be a major pollutant in our homes. Here is a basic lay out of the setup.